TSF: Your documentary “Life Caught in the Ring” was set in the boxing world. Do you see similarities in the boxing and tennis worlds? Eric Drath: Although it was a boxing movie, it really was a story of redemption and coming to terms with the decision that somebody made so long ago … a relatively bad decision. This movie is not really a tennis movie, it’s a story about a person. It’s a story about a life, about someone who complete courage to be the person that they feel that they are. Even though it’s set in the environment of tennis it transcends the sport and reaches a bunch of bigger topics and universal themes. TSF: For this film, dealing with something so controversial – especially for its time frame – how hard was it to find distribution? Were you nervous that it might not have an appeal? That it might be considered a big risk? ED: Yeah. You really never know what you’re getting into when you start a project like this. I started the project knowing that it was a great story that a new generation should be told. I didn’t know where it was going to wind up or if it was going to be too controversial, but I knew I had an important story and a story that transcends the sport of tennis. This is a story of perseverance, courage and the ability to be true to yourself. TSF: You’re talking about a new generation. Have you been surprised by the reaction from people in your personal life that you’ve talked to about this of people not knowing this story? ED: That’s what’s incredible: I think that most people don’t know this story. Most people my age – I’m 40 – have probably heard of it. But there’s a whole generation that doesn’t know and it’s more timely than ever with what’s going on with Kyle Allums and what’s going on in other sports. This is a question that is not going to go away. Where do people who are transsexual should be allowed to play? In what age groups and divisions? These are important subjects and they haven’t gone away. There hasn’t been a final determination on it. It’s very timely now, just as it was front page news back when it was happening. TSF: Have you got a common response from people who hadn’t heard of the controversy and/or Renee? Are they surprised by what she did? ED: People can’t believe that this really happened. This wasn’t in the day of the Internet and the 24-hour news cycle. But this still became worldwide news. How many people live a life the way Renee has? She’s had so many lives. When I tell people this story, they’re floored that this could actually happen. People are like, ‘what? That really happened? !’ They’re very surprised. TSF:What about getting pro players to talk on camera about their experience/opinion regarding Renee? ED: Well it was interesting because we reached out to a lot of players who were overwhelming supportive back then and we also reached out to players who had walked off the court and were not [supportive]. The common demonator was that all of them had ultimate respect for Renee as a person. The question of whether it was fair or not, I thought [the response] was divided. But the question about Renee was overwhelmingly that she is an incredible person and commands incredible respect. I talked to what seems like the “old guard,” the royalty of tennis: Martina, Billie Jean, Mary Carillo, John McEnroe, Jimmy Connors, Ilie Nastase. TSF: Does Renee keep close, personal relationships within the tennis world? Or has she sort of removed herself from it? ED: She’s very welcomed in the tennis community. There was an outpouring of help from the tennis community and she’s still connected to [it]. She still teaches some youths, she still visits the US Open. She’s not a pariah in any sense. Although, she’s definitely still the most controversial female player to ever play the sport. TSF: How long did this process take from idea to final product? ED: Two years, almost to the day from when I picked up the phone and called her. It may not be tabloid fodder like every Taylor Swift dalliance, and it’s not nearly as insufferable as Brangelina, but the marriage between music and tennis is itself a storied love affair. It stretches across decades and genres, and it knows no bounds – well, none other than those pesky white lines. Try to set aside the disappointment that the artist Sergey with the song “Tennis” on iTunes is actually not Vera Zvonareva‘s ridiculously good-looking model/coach. And, however possible, repress the memory of Justine Henin‘s song-and-dance scareoke on TV. Yes, Novak Djokovic and Ivo Karlovic have tried their tongues at rapping, as has Vince Spadea with amusingly deplorable results, but that doesn’t mean you should try it at home after perfecting your Djokovic-ian down-the-line backhand, does it? As the South by Southwest (SXSW) festival just wrapped its annual song-a-thon in Austin, Texas – soon to be the site for a volatile USA vs. Spain Davis Cup tie in July – here’s the skinny on the latest hot shots in tennis-tinged music and an homage to some of the greats. Best Newcomer: James Blake is a dub-step soulman and a veritable crooner. The British JB, that is. His American counterpart is a best-selling author and owner of a laser forehand whose best days are past, but Blake the Brit is taking the music world by slow-burning storm, releasing his rave-reviewed eponymous debut in February and – well before that – igniting the blogosphere with his faithful but quirky cover of Feist‘s “Limit to Your Love.” Let’s just pray that, when we hit up a James Blake concert sometime, his fans aren’t half as annoying (adorable?) as the American Blake’s J-Block can be in the tennis stands. Best Dressed: Sometimes it’s okay to judge a band by its cover. Oxymoronic indie rockers Blonde Redhead out of New York City put out the best, most elegant tennis-themed album art when they dropped 23 in 2007. But, no, the song “Top Ranking” has nothing to do with disputed no. 1 Caroline Wozniacki. Worst Dressed, but Best Sound: Yea, there is a band simply called Tennis, a married duo specializing in ’60s surf-pop for 2011. This act released its debut Cape Dory in January, and though the song “Marathon” doesn’t harbor the words “Isner,” “Mahut” or “Wimbledon” anywhere in the lyrics, it’s solid stuff. Consider it your soulful throwback soundtrack for this summer – but steer clear of wearing skintight aqua as with the album cover. It looks like leftover fabric from a hideous Nadia Petrova creation. Best Tournament Run: This has to go to the ginger-haired heroine in the video for Vampire Weekend‘s “Giving Up the Gun.” She rips through a draw that includes Joe Jonas, a Daft Punk-helmeted doubles team, and even a flask-swilling Jake Gyllenhaal in tear-away pants. It’s a great song, and the immaculately-white indoor court is sharp – even if the choked-up strokes from the damsel look laughably bad in reality. Girl, who taught you to grip a racquet like that? Topping it off: RZA from Wu-Tang Clan serves as the chair umpire, and Lil Jon offers astute on-court coaching. Brill. Best Clay-Court Match: French DJs Martin Solveig — oddly in tasteful Wimbledon whites — and Bob Sinclar, sporting some hot-magenta vintage-Agassi styles, squared off on Roland Garros‘ red dirt for the video for Solveig’s dance track “Hello” sung by Dragonette. The match and music video are both visceral, a veritable heartbreaker. Check out the cameo by that flashiest of the current French tennis stars as he comes on the scene and devastates the darling DJ. Best Charity Hit: Andy Murray and Thom Yorke of Radiohead teamed up for charity single “Two Minute Silence” to benefit serving and former British troops and their families. Strangely enough, its title is no lie. “Hear” — but really just see — it here. British Prime Minister David Cameron and more also got in on this quiet riot. Truly the oddest not-quite-a-band lineup ever, but hey, can’t wait for their episode of “Behind the Music.” Finalist: Wozniacki put out a charity single called “Oxigent” (or “Oxygen”) to benefit Danish and Polish Paralympic athletes. Because, you know, she has oodles of free time. 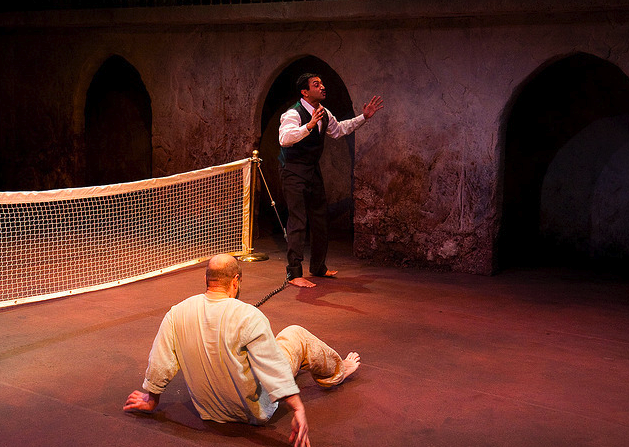 Top Passing Shot: Meg Baird‘s lovely, lilting “Waltze of the Tennis Players.” It’s just pretty, and we do pretty. 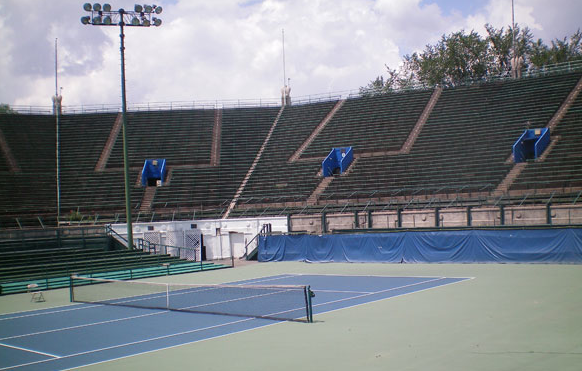 In this case, that winner was The West Side Tennis Club stadium at Forest Hills, which survived a club members’ vote to destroy the stadium and use the site to build luxury condos. A two-thirds majority was needed for the condo deal to go through, but members instead voted in a 123-123 tie. The future of the club, which hosted the US Open until its move to Flushing Meadows in 1978, is now unknown. Potty Problem: In case you missed it, Ana Ivanovic had a little bathroom trouble in Linz while working her way to her first career title in two years. FortyDeuce has the video (second from the top). Ivanovic was docked a game for taking too long a break in her second round match against Barbora Strycova. You betchya: Depending on which way you see it, Roger Federer‘s name was (or is?!) swirling in a betting controversy that claimed Fed provided insider info to IMG agent Ted Forstmann during the 2007 French Open. Federer claims to have no part in the scandal, but a few days after the story broke, Forstmann admitted to betting, but said he received no insider info. Austrian alliance: Thomas Muster continues his comeback attempt in Vienna this week, where he lucked out by not only receiving a wildcard into the main draw, but then getting a lucky loser in the opening round after Ernests Gulbis pulled out for “personal reasons”. Our fave Austrian, Jurgen Melzer, is the tourney’s top seed. 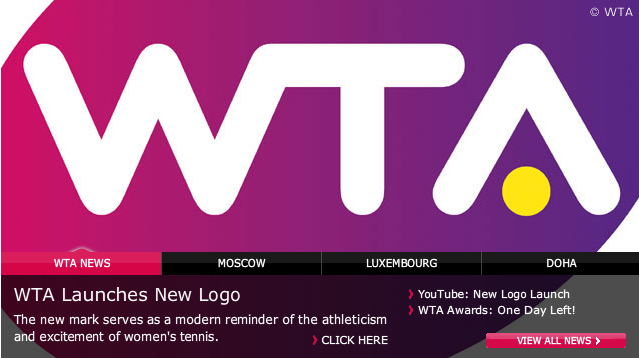 The WTA launched a new logo on Sunday, saying that the new look is to “serve as a distinctive and modern reminder of the captivating athleticism and excitement that has driven the international popularity and growth of women’s pro tennis and placed it firmly at the nexus of sport and entertainment.” We’re more curious: what do you think of that font? The WTA said that it used leading global branding company Chermayeff & Geismar, a design firm that has worked with companies like NBC, PBS, Armani Exchange, National Geographic and Barney’s New York. Up next for Chermayeff & Geismar? TSF! OK not really, but as cheesy as the video below is, we kind of loved it. The dramatic music and the flashes of all the WTA greats from the years’ past had us all nostalgic and wishing for… a J-Cap comeback?! Or at least for someone to take control of the tour and stake her claim in twenty eleven. Justine Henin made her return to Belgian television earlier this week by singing and dancing on a variety TV show. Singing the song “Now It’s Time” on the show Cap 48. Was that lip synching we saw there, JuJu? Might have to refer to this video to figure it out. Hopefully Lady Henin didn’t re-injure her elbow in said dance routine, in which she wore a bright white pant suit, black dance shoes and had her hair put up. Now we get why she wants her phone on a desert island: she has the Autotune app. Justine is scheduled to take on Kim Clijsters in an exhibition in December, though she hasn’t made her 2011 schedule public yet. Guga Kuerten is due to play an exhibition in his home country of Brazil in December as well, flying down former rival Andre Agassi for a little hit and giggle. Fame bound? Meanwhile, Andre headlines the 2011 ballot for the International Tennis Hall of Fame. The last time Andre was in Newport? To help honor his wife Steffi during her own induction in 2007. The season is prematurely over for a myriad of WTA ladies, including Venus, Serena and Maria Sharapova. The Williams sisters will not only miss the Season Ending Championships but also the Fed Cup finals, which they had expressed interest in playing after controversy swirled in their lack of participation in the team’s ties earlier in the year. 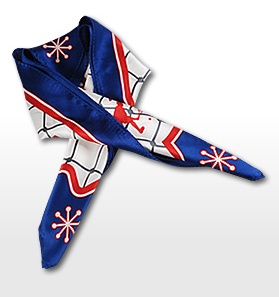 This gorgeous and somewhat subtle (at least for the China Open online store… ) scarf has great detailing. If you look closely, you can see the tiny man chasing down a tennis ball. Buy for about $21 USD. 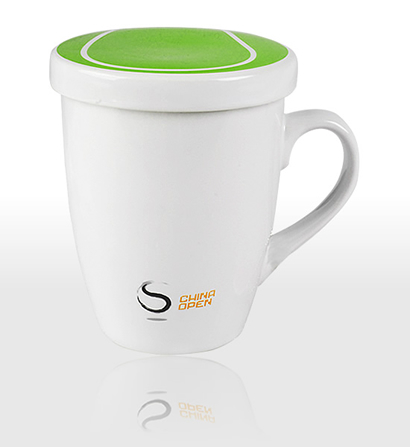 You may think it cheesy, but we love the top to this mug, which retails for about $8. 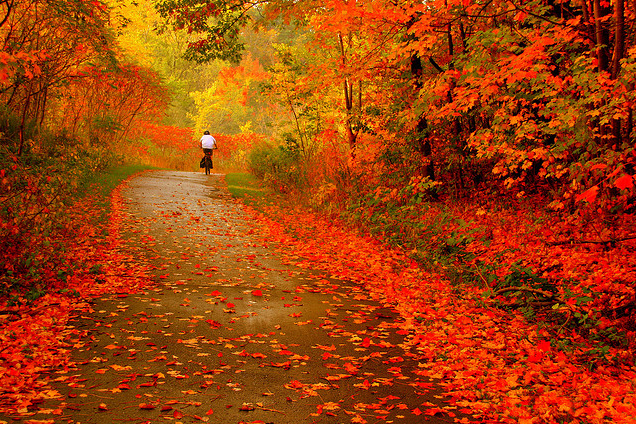 Fall is coming to fruition across the country. Well, that is if you don’t live in the Los Angeles area. Southern Cal was hit with quite the heat wave earlier this week – temperatures topping around 113 degrees around downtown. On this week’s short balls, we’re staying away from the heat and traveling around the country (and world! ), region by region, to bring you tiny tidbits in URL-linked style. The Midwest is losing one of its tennis gems, as the stadium that hosted the (formerly-named) RCA Championships – the Indianapolis ATP stop for 21 years – was put to the wrecking ball this past week. (via jon_wertheim) Remember: Better times in Indianapolis, which lost its tourney to Atlanta this past year. The Southeast | The WTA celebrated the 40th anniversary of what it describes as a day of “rebellion” and “independence” last Thursday, September 23rd. In 1970, Billie Jean King and “The Original Nine” broke away from the tennis czars to form the WTA with help from a few business-savvy folks (and Virginia Slims cigarettes). The total purse at the 1970 Virginia Slims Invitational in Houston? $7,500. The winner took home $1,600, which is one about one tenth the money first-round losers are awarded at today’s majors. Meanwhile, in the Southwest, Mirjana Lucic continued her winning ways this past week by capturing the title at the USTA Pro Circuit swing in Albuquerque. Lucic took out three Americans on her way to the championship. This week, she’s in action up north at the $50,000 event in Las Vegas. The bio: Bob lives and works near the ATP Legg Mason tennis tournament. That would be Washington DC, where the regional theater is charming and often surprisingly good and the big theater is mostly lowest-common denominator Broadway. This is Bob’s first big blog opportunity. He has performed in off-blog venues, such as in letters to the editor and in nonprofit newsletters. He thanks his parents, all of his friends and Muffy for all of their love and support (xoxo hugs!!!!! ), and Amtrak. TSF: What current tennis star would make the best leading Broadway man? Woman? Bob Kim: Where to start? First of all, it really depends on the show. Tennis is an international sport so there’s a natural fit with certain shows. For Evita, you could go with Juan Martin del Potro, the Argentinian and reigning US Open champion. But you’d have to resurrect Gabriela Sabatini as Evita because I can’t think of a top, current Argentinian in the WTA at the moment. For Miss Saigon, you could go with Ai Sugiyama or Na Li or Tamarine Tanasugarn. None of them are Vietnamese, but since when has ethnic verisimilitude mattered on Broadway? If I had to pick one man and one woman, I think you have to go with Serena on the women’s side. She already has acting experience and an extensive IMDB page. Judging from her last USO performance, she can definitely emote. She would have been perfect delivering a profanity-laced diatribe in last year’s Reasons to be Pretty. For the men, I’d pick Novak Djokovic. His on-court imitations of other tennis players like Roddick, Federer and especially Maria Sharapova suggest real underlying acting talent. He’s a ham. He likes being in front of people. Too bad these days he’s complaining of nausea and dizziness on the big (tennis) stage. I think he’s a bit of a drama queen. We’ve never seen those on Broadway before! He’d be perfect. TSF: OK got it. Enough with the drama queens though, who on the ATP tour would make the best chorus boy? Why? BK: I’m going to say two people — the Bryan brothers, Mike and Bob. They’re twins so they almost count as one. They already sing (in a band), and they are clean-scrubbed, extremely boring white boys who look exactly alike — and they play pro doubles, which is like the tennis equivalent of off-off-Broadway. They are used to being in the background rather than in the lead. TSF: Speaking of the lead, if Roger Federer, a quintessential leading man, could belt one show tune about his career, which would he choose and why? BK: Uh, hello! Everything’s Coming Up Roses from Gypsy. Federer has 16 freaking Slam titles. This song holds true even before he won the French last year — he was the crazy maniacal Mama Rose trying to pretend he was happy and that Nadal wasn’t in fact his eternal nemesis thwarting his goal to win all four majors and sail into tennis immortality. TSF: Quite rosy, indeed. OK, let’s switch gears a little bit. 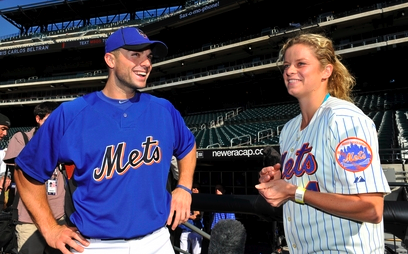 Which current Broadway star would have the best chance of becoming a tennis star? BK: I would say any of the Billy Elliotts. Everyone else is too old to have a chance. Well, then again you have Kimiko Date Krumm on the women’s tour, who retired last millennium and is now back in the top 100. She’s like 83 years old now. Didn’t she play against Margaret Court? 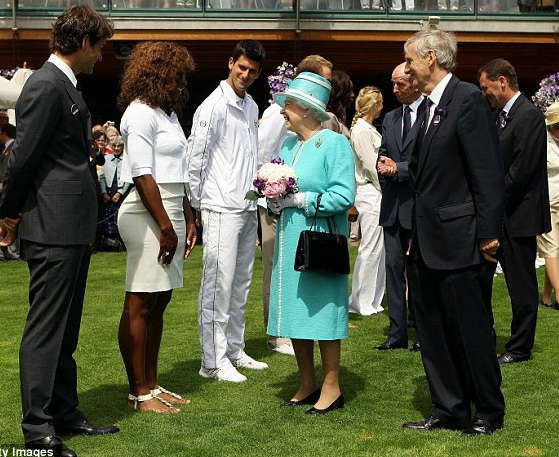 Maybe there’s hope yet to see Angela Lansbury at Wimbledon. TSF: Well, Angela does have “Duece” under her belt. Even if it didn’t get rave reivew. What show currently on Broadway mirrors the tennis tours the most? BK: God of Carnage. No one can survive the brutality of the year-long pro tennis circuit. They’re all walking wounded. Between that and the vicious gossip (not to mention Andre Agassi‘s tell-all book), everyone is getting ripped a new one. 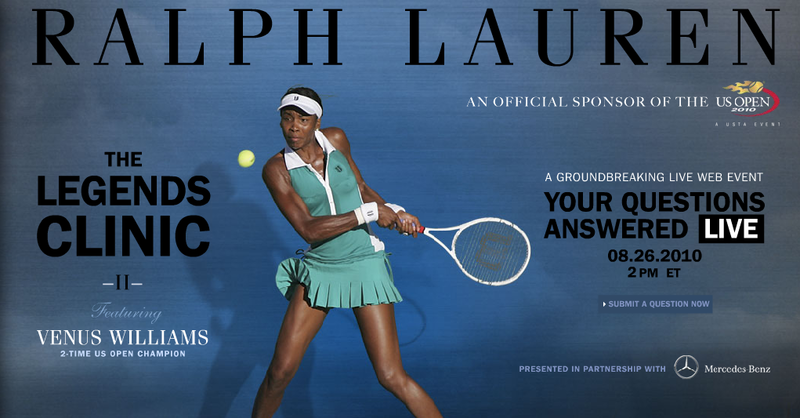 Venus Williams is teaming up with Polo Ralph Lauren to put on the Legends Clinic tomorrow on Randall’s Island, an affair that will feature interactive instruction (streamed live on RalphLauren.com) and a limited-edition dress in partnership with Williams’ apparel brand Eleven to be worn by the champion during the clinic. TSF will be there to strut our tennis stuff (or just gawk at V herself) and check out the Eleven/Ralph Lauren offspring first hand. Submit your questions for Venus via this link and she just may answer them live tomorrow. See Venus: Tomorrow night in NYC, at the Herald Square Macy’s when Venus herself will be on the 2nd floor (the men’s department of all places!) at 6 PM. More details are here, including how you can score awesome Venus/tennis stuff with Macy’s purchases. That headless body belongs to Christina McHale. The American lost in the second round of the Bank of the West Classic this afternoon to Sam Stosur 6-1, 7-5. McHale is a Jersey girl herself, so the ruffles you see on the shoulders and the skirt shouldn’t be too surprising. Snooki approves. The WTA has been missing some Jersey grit in its bloodstream lately, don’t you think? Without the Brooklyn bluntness of Jennifer Capriati, things have been a bit too Florifornia for us. We welcome Christina and her ruffles with open, orange-tanned arms. TSF takes over the West Coast this week as I made the drive from Cottonwood, Idaho, (yeah, it exists) to San Francisco yesterday for a little R&R and a day at the Bank of the West Classic tomorrow in Palo Alto, at Stanford. Meanwhile, Erwin is holding court in LA for the Farmers Classic, making sure that the boys adhere to the warm weather shining on SoCal and going shirtless on the practice courts. This week’s version of short balls comes on Tuesday, a little earlier than usual. Enjoy! I’ll make the drive down to Palo Alto tomorrow for a day at the 40th annual Bank of the West Classic, now the longest-running women’s event on tour. Bank of the West has been the title sponsor since 1992 at this event, something that is unheard of in the days of fast-moving money. (Remember the Lipton Championships? Or the Kraft WTA Tour? Seems like centuries ago… ) The Bank of the West has been at Stanford’s Taube Tennis Pavilion since 1997, and just this year announced partnership with Rebounces, a green company that runs a tennis-ball recycling program nationwide. Balls brought in by members of the public (and those used in the tournament) will be collected and recycled by Rebounces, with the help of FedEx to get them shipped and donated to a local youth tennis program. Thumbs up to that! There’s always plenty of tennis action on the pages of Twitter, and this week a few more tennis names added themselves to the never-ending world of Tweets. Janko Tipsarevic asked his followers to “bare” with his bad English (gladly, Janko, gladly). WTAers Anastasia Pavlyuchenkova and Alisa Kleybanova have also joined the Twitter ranks. Anastasia is playing in Istanbul this week, whiles Kleybs was already dismissed from Stanford by a studious Ana Ivanovic. Before she was bounced outta the Bay Area, Kleybs sat down with Chris Oddo for an interview featured on On The Baseline. The USTA announced yesterday that it is partnering with longtime supporter American Express for a program called Fresh Courts. The program will invest money in 17 different tennis courts in three urban centers, including Los Angeles, DC and New York. In NYC, the benefactors will be our friends over at McCarren Park in Brooklyn. The USTA will head up the fixing up of the courts themselves, as it oversees around 700 refurbishing projects each year. For a little bit of a fashion fix, I’m digging this Lacoste v-neck (and the model!) I ran across yesterday. $40 online. Meanwhile, Serena might be questionable for the US Open itself, but that’s not keeping Nike from prepping itself for her outfit at said tourney. The Control Court dress (seen here via TennisConnected) is $85 and might – just might – be made famous by ReRe if she’s able to show at Flushing Meadows come late August. 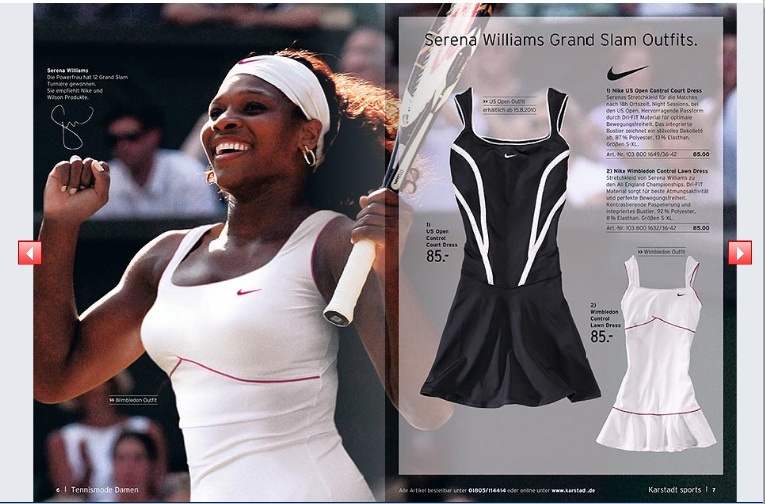 This is the black version of her Wimbledon get up, which helped her to her 13th slam title. Dressing, acting and crying like a 12-year-old boy (all so charmingly, might we add! ), Rafael Nadal embraced the World Cup in all its glory by cheering on his champs, Spain, in South Africa on Sunday. The Spanish team downed The Netherlands 1-0 to win the country’s first-ever World Cup title, and Rafa got all giddy (and shed some tears) over the futbol success. Looks as though Rafa will keep one foot on the soccer field in the near future as it was also announced last week that he is now a partial shareholder of the Real Mallorca club team. While one future Hall-of-Famer was in Africa rooting on his countrymen, seven tennis personalities were inducted into the International Tennis Hall of Fame over the weekend in Newport, R.I. Most notably were the doubles tandems of Mark Woodforde and Todd Woodbridge and Natasha Zvereva and Gigi Fernandez. Brad Parks, one of the founding fathers of wheelchair tennis in America, was also honored, as were Derek Hardwick (a pioneer in modernizing the game to its current Open format) and Owen Davidson (a doubles specialist) were also inducted. 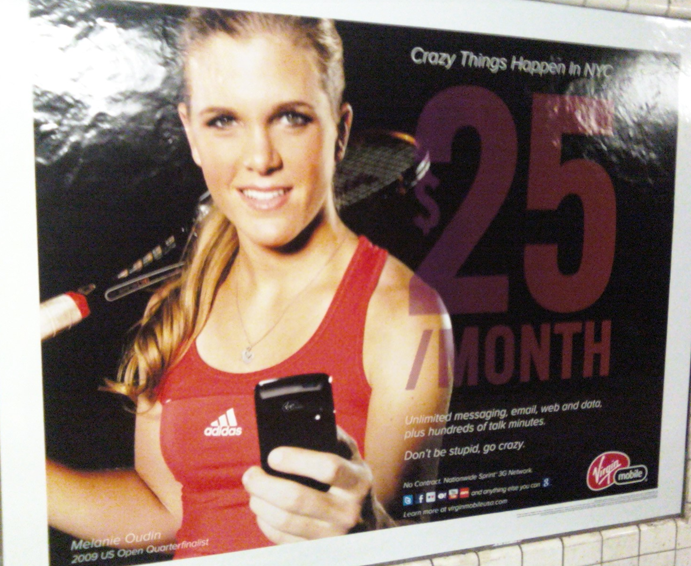 In this economy, it might be good to be a tennis player. 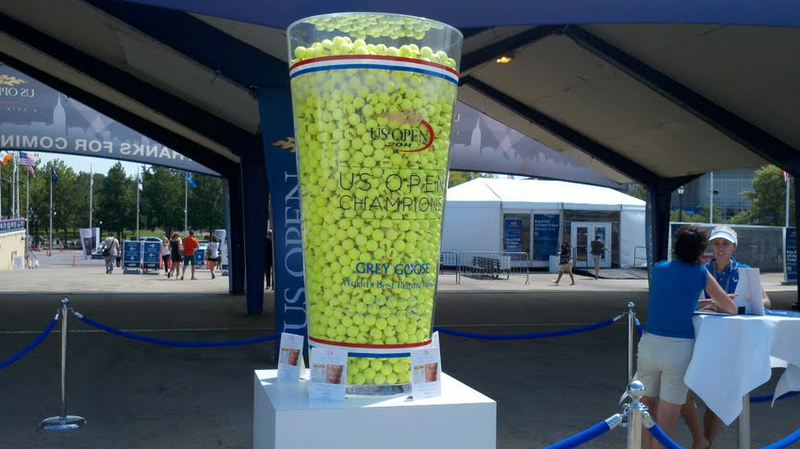 The US Open announced that the winner of its men’s and women’s singles titles will walk home with $1.7 million each, with the chance of each winning an extra $1 million for talking the US Open Series crown during the summer. The tournament had a 7% increase overall in payout, bringing its total purse to $22.6 million. Ka-ching! 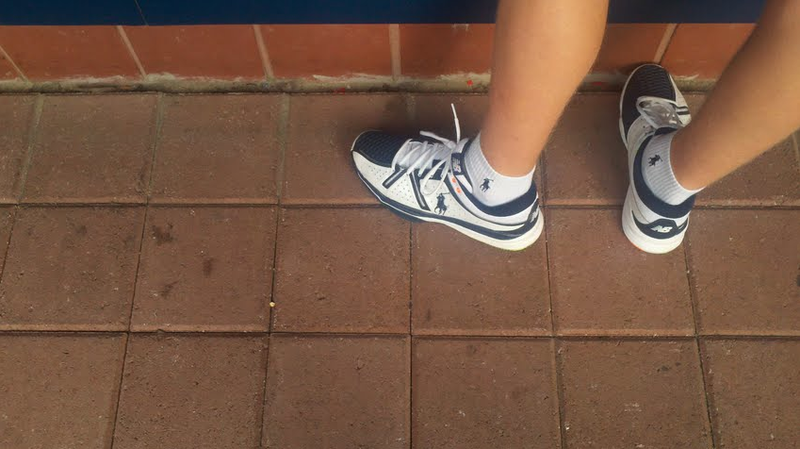 Donnay, once the racquet of champions, is trying to make a resurgence in the global tennis market. The company launched nine new racquets recently, and will use the success of Yanina Wickmayer (their only notable player) to help market the brand. The company once was a big-time player in tennis as the club of choice for Bjorn Borg, Andre Agassi, Margaret Court and Cliff Drysdale. There’s a whole lotta short(er) balls and (OT) after the cut. See the video by clicking here. Scroll two thirds down the page to find it. And, go to page 2 of the Wimby videos to find an equally-entertaining fan hat video. Lovely, just lovely! 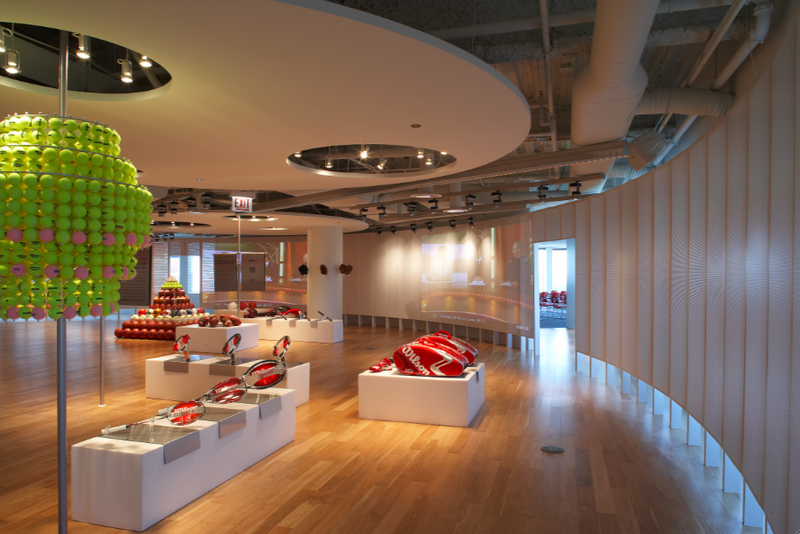 In the outskirts of Chicago, tennis – and sport – behemoth Wilson calls part of an office tower home. The space, just a stone’s throw from O’Hare Airport, is non-descript from the outside: a big, just-out-of-the-city office building, expansive parking lot, Chicago wintry winds and the red ‘Wilson’ christening the side of the top the structure, seemingly simple and corporate. Inside, however, the space is anything but simple. And to call it corporate would only be accurate in its ability to be a functional, inspiring space. Wilson occupies five floors in the building, including the top three. The 2007 move from the building next door provided the company to make thoughtful, sustainable and modern decisions on how to utilize its new space both as a workplace and an area to encourage creative interaction by those who work there and those who visit. Said visitors are greeted in the Wilson lobby by a vast wall that hosts black and white photos of Wilson employees, coaches, trainers, athletes and superstars. The view provides a sort of story-telling for the Wilson name over the last 100 years, since the brand launched in 1914. 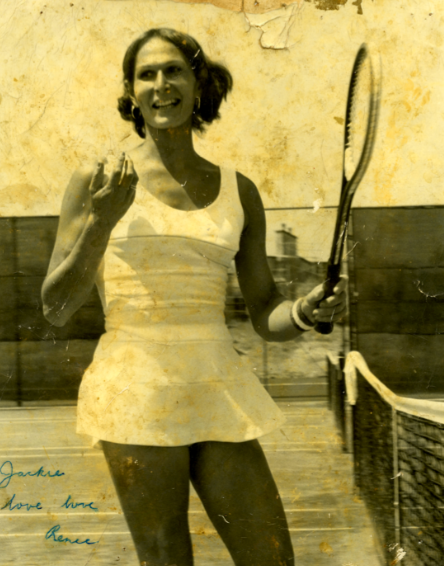 Images of tennis players are aplenty, their equipment and dress anchored in their era and style. There’s Lindsay Davenport rocking her mid-90s Girl Next Door look. And there’s Pete Sampras winning the Open in 2002. 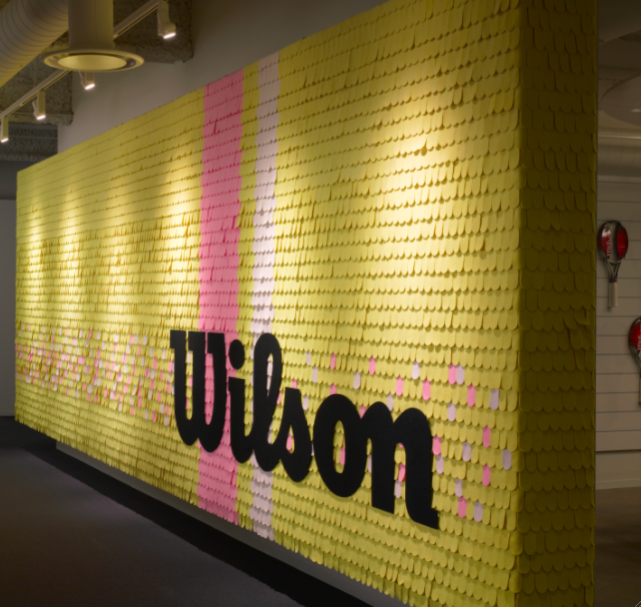 The expansive space beyond the wall (pictured below) displays product in a minimalist, museum-inspired way, using outside light to brighten the room and create a feeling of excitement about the possibilities of sport, and, from Wilson’s point of view, their name. Read more about the Wilson headquarters and find out what the day in a life of a Wilson touring team member entails after the cut. The Seattle Times has a great piece up about who was Best Dressed during last night’s men’s free skate in Vancouver. The dramatic event catapulted American Evan Lysacek to gold over favorite Evgeni Plushenko in what many are calling a flawless performance. From The Times’s point of view, our boy Johnny Weir took the fashion crown (not surprisingly) was best dressed. But Plushenko, in a rhinestone suitcoat, got the nod as worst dressed. From our point of view, it was definitely the hair that did him in. That mane needs an Andy Murray-chopping pronto. In the fan’s poll, Weir just nudged out Lysacek 37% to 35%. The people have spoken. 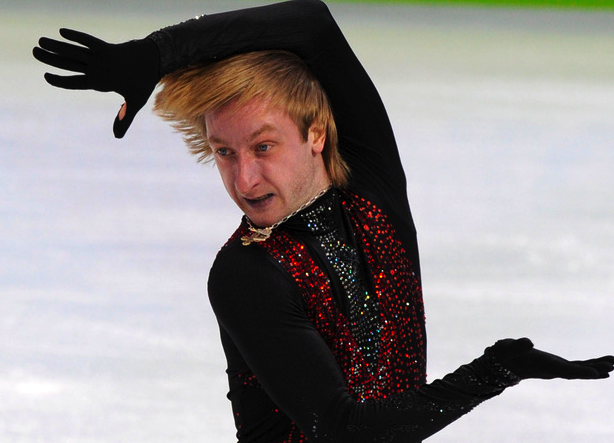 More shots of Plushenko and Weir after the cut. 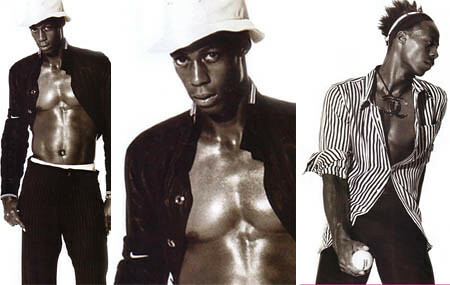 French ATPer and Hottie McHotterson Gael Monfils appears in the most recent issue of Sport & Style, the Bruno Danto-helmed insert in L’Equipe. 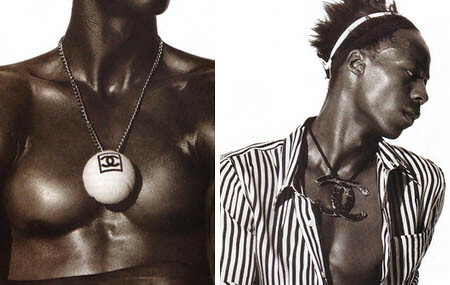 Accessories: The house of Chanel, under Karl Lagerfeld, continues to top itself with the ball-as-necklace on the left. They’ve dabbled in tennis-themed accessories before, including racquets and the stiletto pump. S&S is slowly making its way stateside, and we can’t wait to see it on the newsstands!